I love reading about local ghost sightings and here in haunted Lincoln, there are quite a few stories around. It’s not surprising seeing as we have some very old buildings like Lincoln castle and the cathedral. Lincoln castle was built during the late 11th century by William the Conqueror. It used to be used as a prison until 1878 so you can imagine the number of ghost stories that are attached to this wonderful building. According to the Haunted History of Lincoln, a horse and rider can be seen riding up to the gates of the castle shouting, ‘Open the gates, in the name of the king’. It was approaching midnight when a baker, on the way to his night shift at a bakers in the city was walking opposite Lincoln Castle’s gates. A giant black horse, billowing steam from its nostrils materialised in front of him. Its rider was stood up in his stirrups and sparks began to fly off the ground as its hooves gripped the floor. The horse charged on towards the castle, the same cry echoing from its rider as it gallops through the thick wooden gates of the castle’s front entrance. 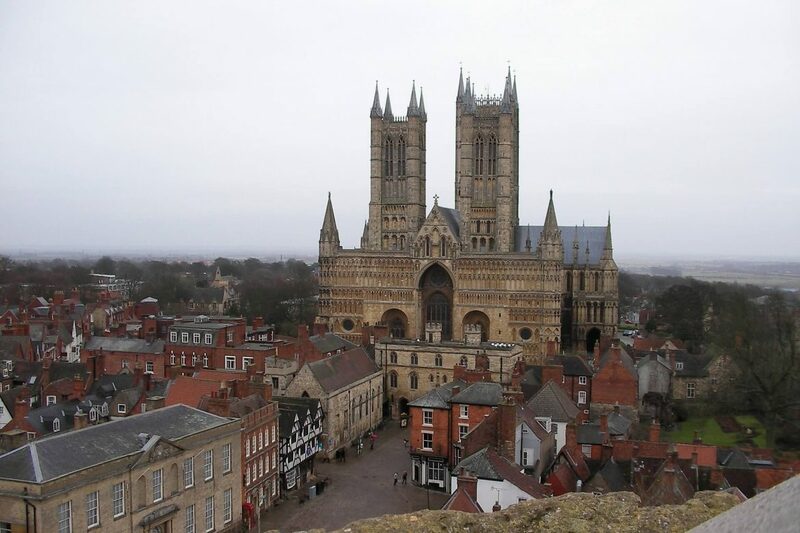 For the rest of the story, visit the Haunted History of Lincoln blog. During the time of the Black Death, the Church couldn’t keep up with the number of bodies that needed burying so a mass burial took place on the grounds to the right of the cathedral.